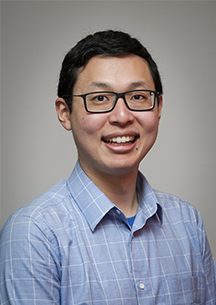 Jerry Wang will join the CMU Department of Civil and Environmental Engineering in Fall 2019. Wang is currently a postdoctoral researcher in the MIT Department of Chemical Engineering. His research interests involve using mechanics, statistical physics, and high-performance computing to understand nanoscale structural and transport phenomena, with the goal of developing very small solutions for very big problems in the water-energy nexus. G. J. Wang and N. G. Hadjiconstantinou (2018) "Layered Fluid Structure and Anomalous Diffusion under Nanoconfinement," Langmuir, Vol. 34, Iss. 23, 6976-6982. G. J. Wang and N. G. Hadjiconstantinou (2017) "Molecular mechanics and structure of the fluid-solid interface in simple fluids," Physical Review Fluids, Vol. 2, No. 9, 094201. G. J. Wang and N. G. Hadjiconstantinou (2015) "Why are Fluid Densities So Low in Carbon Nanotubes?," Physics of Fluids, Vol. 27, No. 5, 052006.